Nancy’s Multi-Level class on Wednesdays includes a combination of Yang Yoga, active progressive poses that help build strength and balance, flowing Vinyasa Yoga, and some Restorative and Yin Yoga. This is geared to a student seeking a stronger practice. Nancy’s Gentle class on Fridays is appropriate for a wide spectrum of practitioners. This class moves at a slow and steady pace. Think long gentle stretches on the floor (yin) primarily floor-based, reclined, or seated. The class also includes somatics for joint mobility, and standing stretches and balancing poses with or without support. Nancy’s classes run month-to-month. Nancy’s drop-in class: $15. Or pre-pay for the four-class session with Nancy for a discount: $48/session. 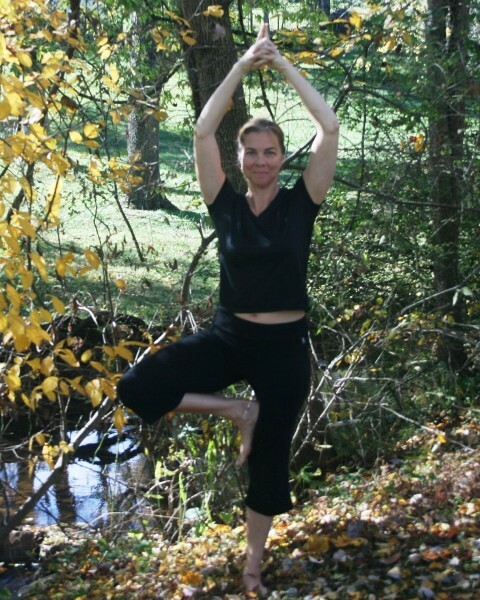 Nancy has been teaching Yoga since 2004 and has taught at Peaceful Hands Studio since 2007. “I came to yoga by necessity,” Nancy says. “After developing a herniated disc, I was introduced to a Yoga therapist who showed me some simple Yoga movements to help with my pain. Within one week I started to feel relief. Within two weeks, I was completely off of pain medication. Nancy received her Yoga certification from the Integral School of Yoga in 2004. In 2007, she completed her Yoga Therapy training through Integrative Yoga Therapy. She is registered as an E-RYT 500 with Yoga Alliance. Peaceful Hands Yoga is at 228 Warren Street, 2nd Floor in Orange, Virginia, in the Sedwick Racquetball Club. Directions can be found here.